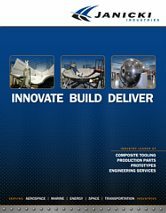 Janicki Industries is recognized for its innovative use of composite materials including carbon fiber, fiberglass and metals of all types, proprietary poly resins for infusion, proprietary VARTM techniques and specialized finishes. 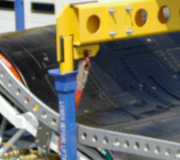 We will select composite materials, processes and cure cycles based on your specific needs. 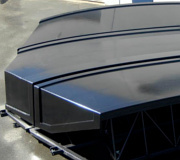 Selections are based on: coefficient of thermal expansion, end item tolerances and accuracy requirements, strength and durability needs, number of use cycles, surface condition requirements and cost. 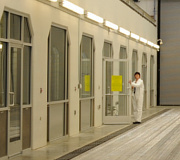 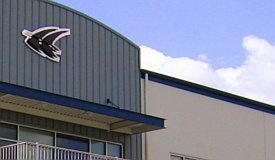 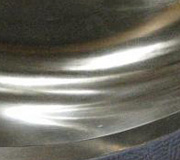 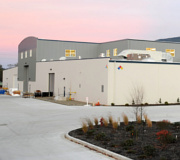 Janicki Industries specializes in very large scale, high precision composite projects. 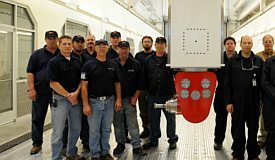 Our large factories, proprietary 5-axis mills and mill bays, fabricating equipment and assembly expertise all support this capability. 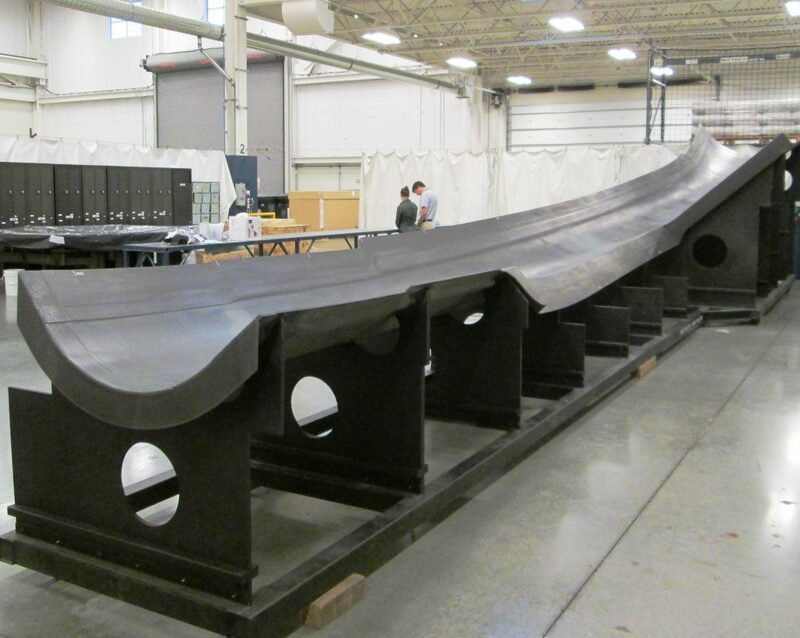 Using advanced composite materials (many developed in our R&D lab) we design and build composite parts, tools, molds, prototypes, jigs, cauls and fixtures. 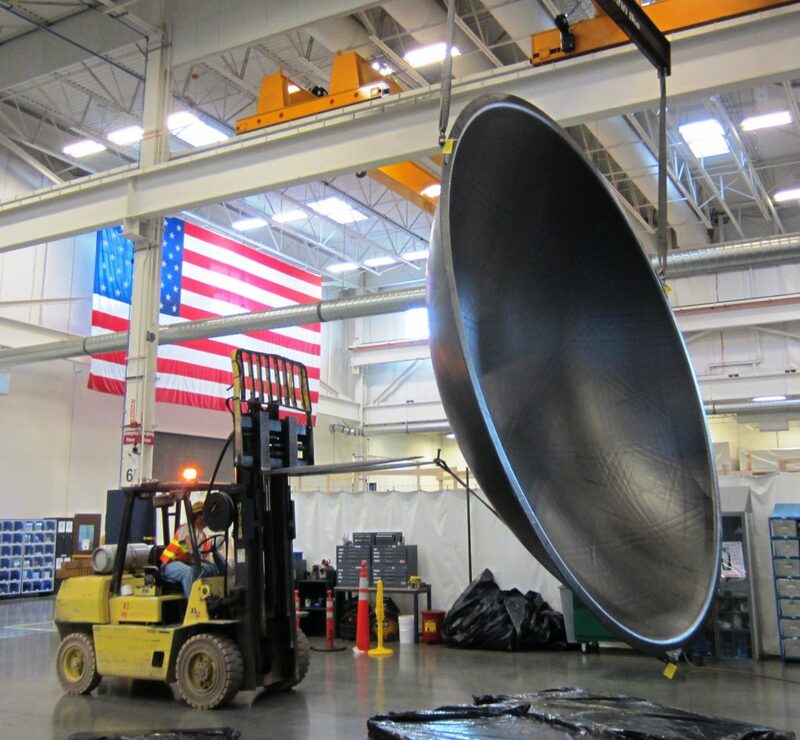 Whether you are building a prototype yacht, an aerospace grade part or tool, a wind blade, or a lightweight vehicle, we excel at providing large complex parts and tooling within a short timeframe without compromising our high quality standards; maintaining tolerances up to +/- 0.005″. 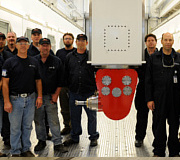 And when you need complex parts we build our own tooling for those parts, rather than send it out to a subcontractor. 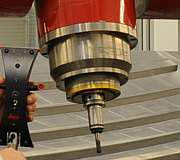 This integration brings our customers shorter schedule time to delivery, tighter integration of parts with tools and faster change capability if requirements are revised. 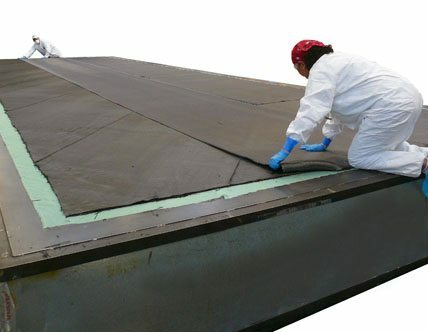 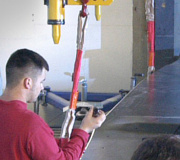 JI’s expert composite fabrication team is available for contract work at your facility.